Below you may find all Mystic Words Daily Puzzle November 9 2018 Answers., Cheats and Solutions. “Mystic Words” is the definition of strong logic, creation and enthusiasm and you will be able to experience them all by playing the game. The structure of the game is very concise, you will have seven clues versus 7 solutions. You can answer to them in any order, but you need to find them all so that you can move forward. 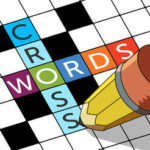 Click on the letter group to enter the selected letters and to create the answer word. At any time feel free to look up for the helping tools, such as “hints”, “shuffle” or “ask friends”. The steps to follow are simple and clear: decode the clues, combine by tapping the letter groups and give submit to the answer word. You need to find all of the seven solutions so that you can explore more than 1500 puzzles splitted into 33 packs. But most of all enjoy the game, exercise your brain and make the best out of your free time. Our site is updated daily with all Mystic Words Daily Puzzle Answers so whenever you are stuck you can always visit our site and find the solution for the clue you are having problems solving! Thank you once again for using our site for all Mystic Words Free Daily Puzzle Answers!